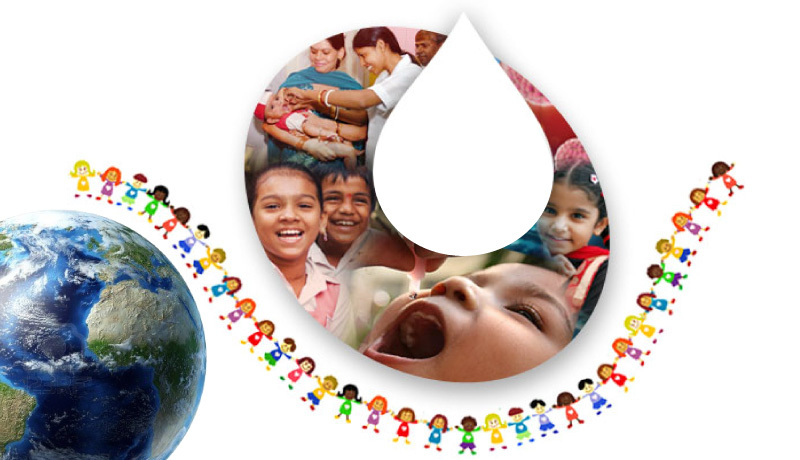 World polio day is marked in the calendar on 24th October. This day was recognized as the world polio a decade ago when Rotary International commemorate the birth of Jonas Salk, who was leading the team to develop a vaccine against poliomyelitis. Look at the progress we’ve made to #EndPolio for good:1988 – the wild polio virus was endemic to 125 countries. 2018 – the wild #polio virus is endemic to JUST 3 countries. Use of this inactivated poliovirus vaccine and subsequent widespread use of the oral poliovirus, developed by Albert Sabin, led to the establishment of the Global Polio Eradication Initiative (GPEI) in 1988. As of 2013, GPEI had reduced polio worldwide by 99%. Most of the people have no idea what polio actually is, Polio is an infectious fatal disease, which causes disability in its victim. This chronic disease has no cure once it affects a human. but there are vaccines which help people to reduce the chance and get protection against this disease. These vaccines are given in the early development ages of children several times so that this disease could get eradicated from scratch. There are many campaigns which are being organized in Asia and all over the world regarding this fatal disease. Well, this is actually the worst form of the disease. This disease affects the bones making them weak and disturbing their symmetry. This is caused by the poliovirus. There are no symptoms because there is no cure once this disease affects a person. The countries which are most affected by this disease include Nigeria, Pakistan, and Afghanistan. Pregnant women mostly get effected by this disease. On World Polio day it is very important to know that around half of the people who suffered this disease go on to develop post-polio syndrome. We have started a special campaign for awareness and prevention measures for it and in sha Allah will ensure Pakistan becomes polio free soon. There were many camps which were organized for the free checkup on world polio day in several parts of the world. Polio affected persons, who do not have a wheelchair, can attend the camp. Now here is an issue which is highlighted by most of the people that illiterate families think their child is being poisoned not vaccinated! Meanwhile, in Pakistan, a family refusing to have its daughter vaccinated for polio, Thinking of it as a poison and a conspiracy of West. For all those people this is a message that they need to understand the need of the time. These campaigns are held to help the world get out of this misery. Today is #WorldPolioDay! #Pakistan is on the brink of ending polio forever. Let’s continue taking bold steps to make history and #endpolio! Whereas, we all need to understand that eradicating polio is the need of this hour so we have to be a part of this polio eradicating campaign by cooperating with healthcare units for a healthy and better future!